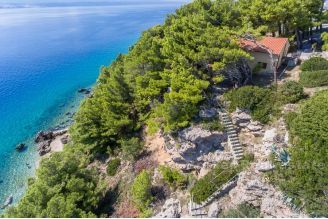 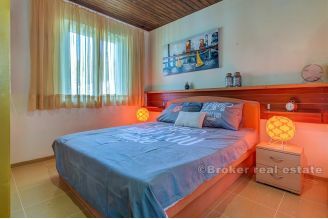 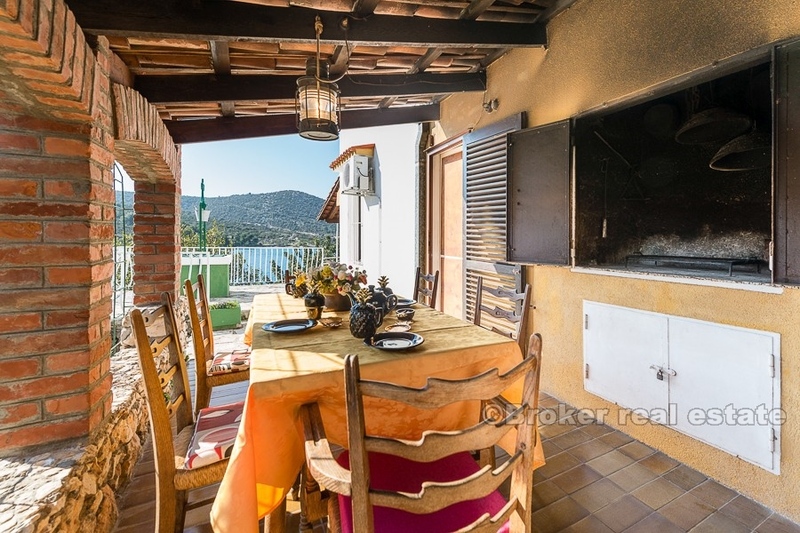 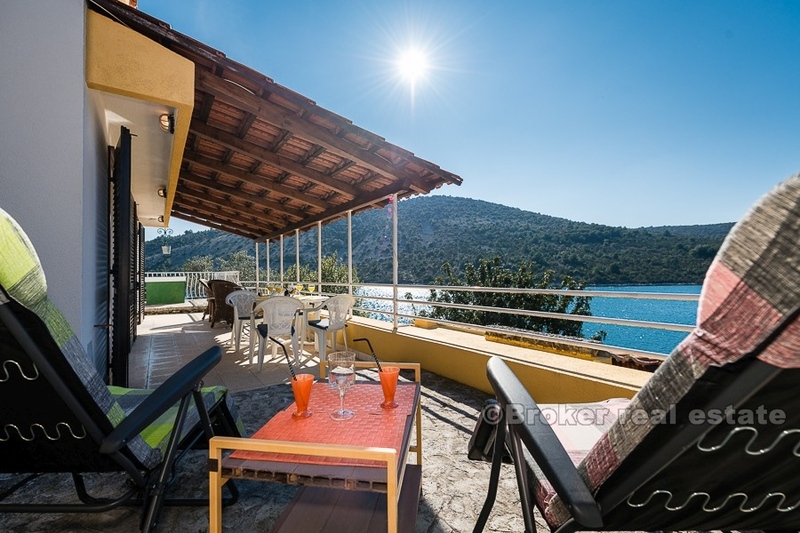 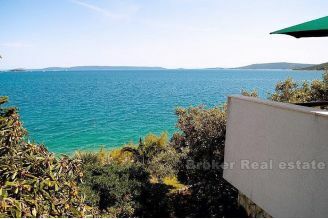 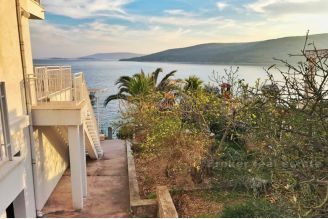 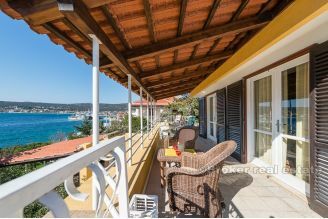 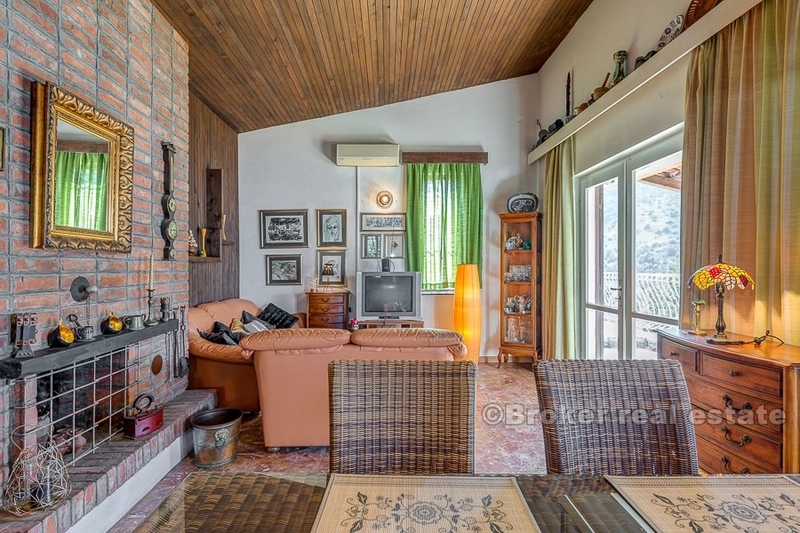 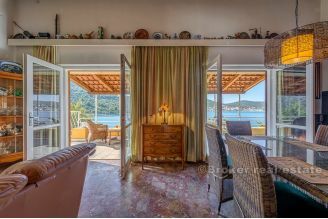 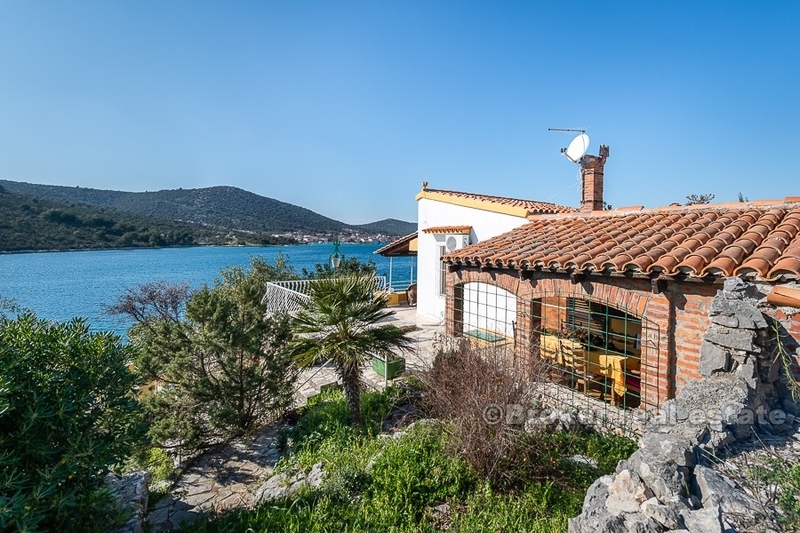 Charming house in the first row to the sea, located not far from the town of Trogir, in a beautiful cove with clean sea, sandy and pebble beaches. 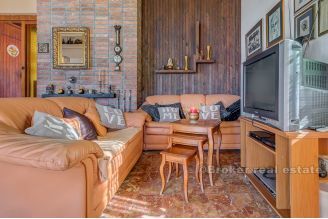 The property spreads over a total of 110 m2 of living space, consisting of two separate apartments. It is only 10 m away from the sea and the beach, where there is a private berth for the boat. 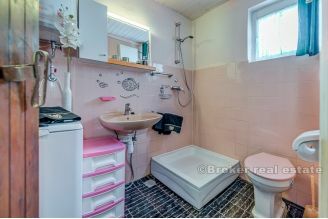 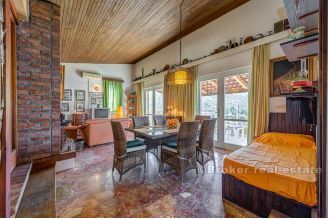 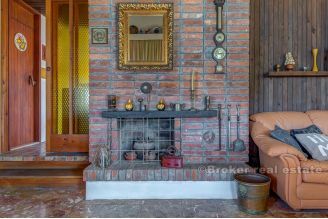 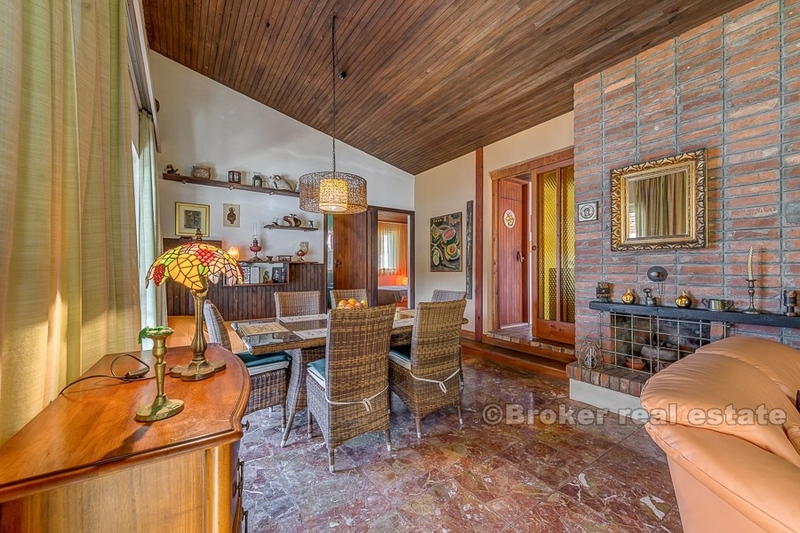 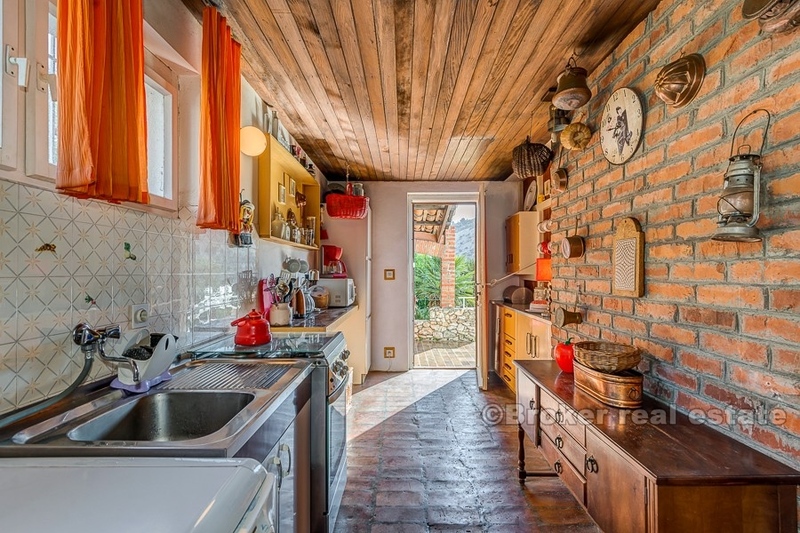 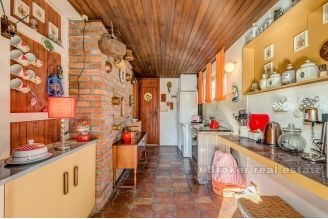 A smaller apartment of 30 m2 is located on the ground floor of the property and has a cultivated garden with outdoor shower and a covered area with a massive wooden table. The larger apartment of 80 m2 is located on the upper floor and has a large living room with a marble floor and high ceilings, which also has an internal fireplace. 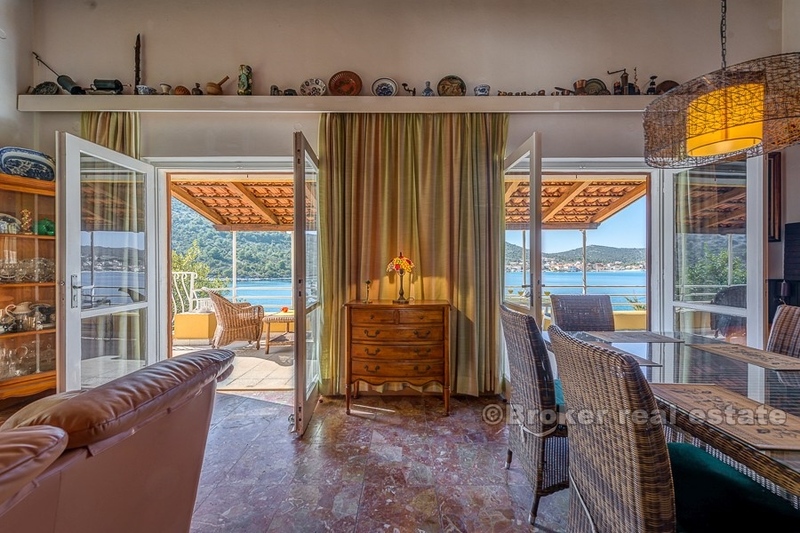 The adjacent covered terrace offers a beautiful view of the sea and the whole place. 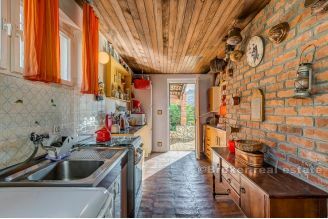 Both apartments have separate outdoor barbecues. 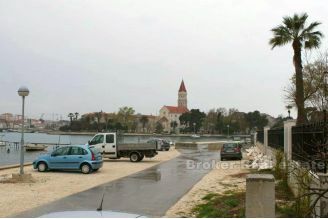 The property has a total of three parking spaces, of which one is within the garage. Large apartment can accommodate 5 people, while the ground floor apartment is enough to accommodate three people. 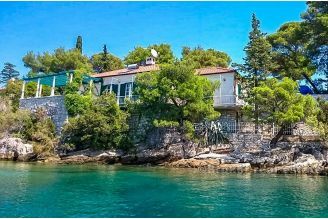 For this reason, house can be used for personal purposes or for the purpose of renting to tourists. 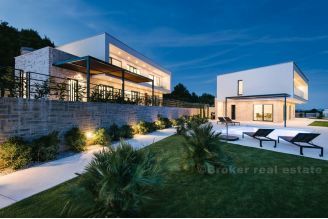 Due to the size of the plot (680 m2), there is great potential for additional investments such as swimming pools, jacuzzis, etc. 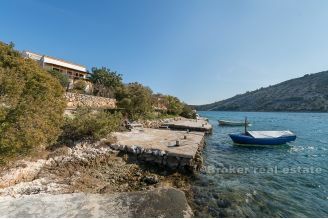 Nearby there are several shops, restaurants and cafés, as well as a small marina for boaters. 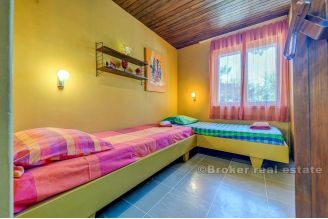 This place is intended for lovers of peaceful family vacations and is most suitable for privacy lovers. Close to Split Airports, the town of Rogoznica and the historic town of Trogir.